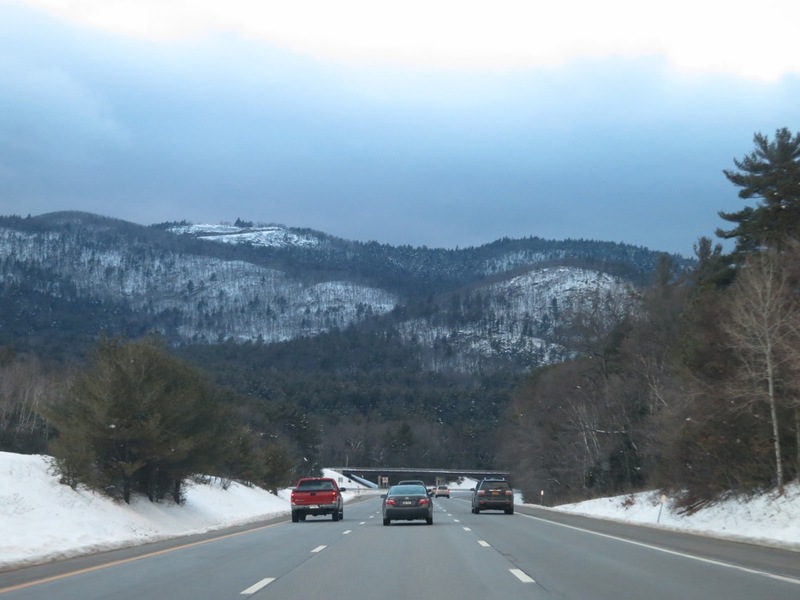 Ski Day 28: I left work yesterday at 3pm and headed north on 87. All week I watched a persistent uplevel disturbance that was producing a steady diet of light snow at higher elevations. As I approached the Catskill and the Adirondacks, both ranges were shrouded in light snowshowers. I pulled into the North Creek Ski Bowl Base Area at 7:30 and headed into the lodge to boot up. I had the place almost to myself. I wasn’t sure how many runs I could get in, so I saved a little time by dressing lightly. The friendly lifties told me that lifts were spinning until 9pm. Tonight was my first time riding the Village Chair, and my first ever lift-served night skiing. The storied slope has about 100 feet of vertical and two or three ways down. The headwall area is fun for five or six good quick turns. The remaining 60 feet of vert in lower area is a groomed path that is flanked with jumps and rollers. I was surprised to find corduroy on the sides of the trails after sunset. It had about half an inch of snow on top. After 20+ inches of snow in the last week, conditions were very good. 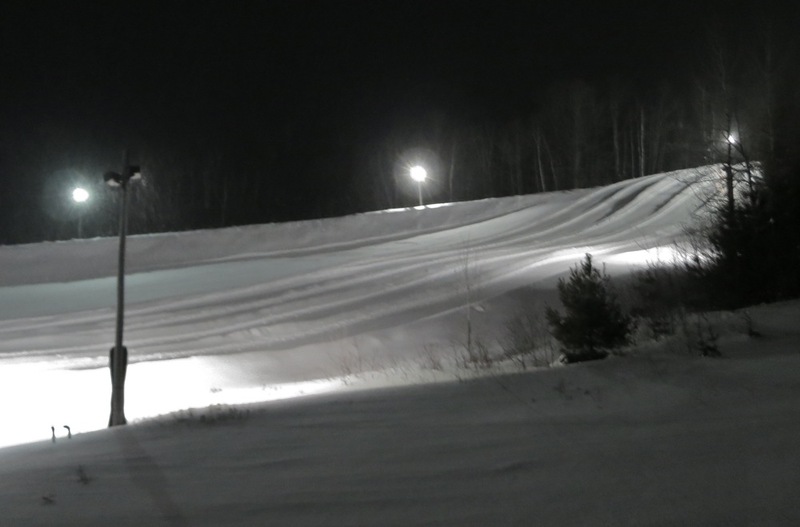 On skiers right, there is a tubing hill that is served by a rope tow. I heard kids screaming with glee as they flew down the course. I skipped my way down the upper section, and did big GS turns down below. It was great to feel some skiing after three long weeks off. I did six or seven runs and a one point I think I even yelped. Glad you had a great time. 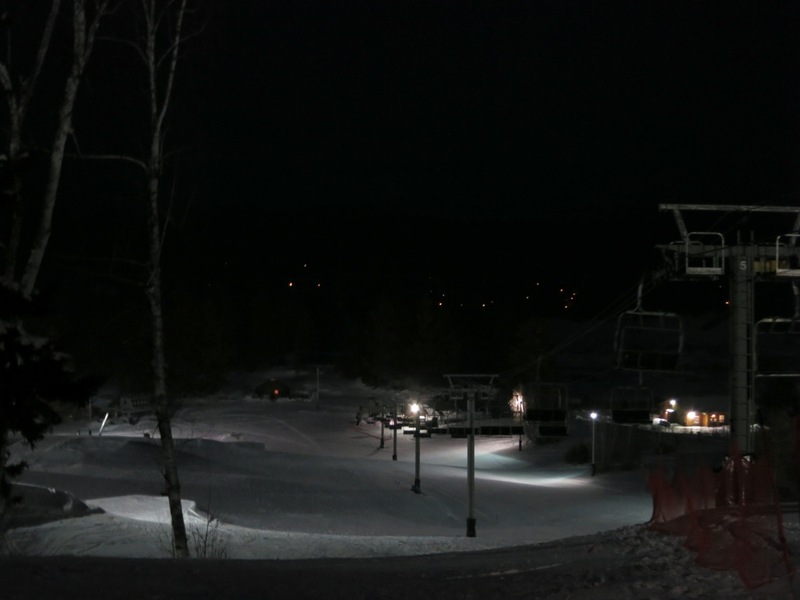 The ski bowl at night is a great place for the kids to hang out and play. Whether its in the terrain park, tube hill or just some sledding. 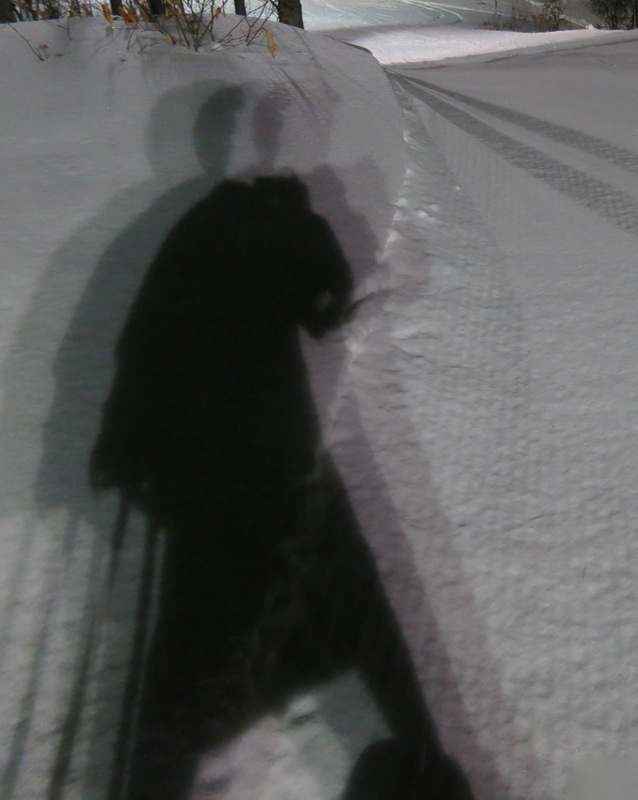 Night skiing. 100 vertical. Nice. 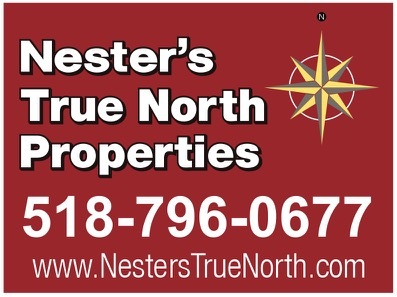 According to a GPS measurement by YUKON CORNELIUS the village slope vert came in at… 155 feet. Ski Day 28 may well have featured over 1000 feet of vertical rise. with 8 friends before NY State built the State ski facility. We all were outfitted at “Harringtons” on Main Street. of my life. There is no way back.